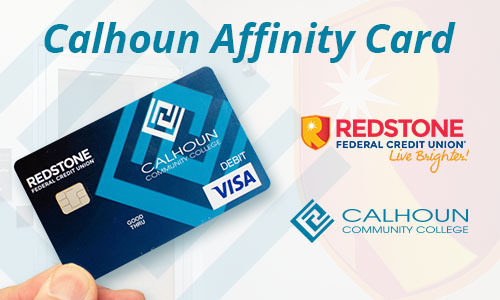 Calhoun Debit Cards are now available from Redstone Federal Credit Union! 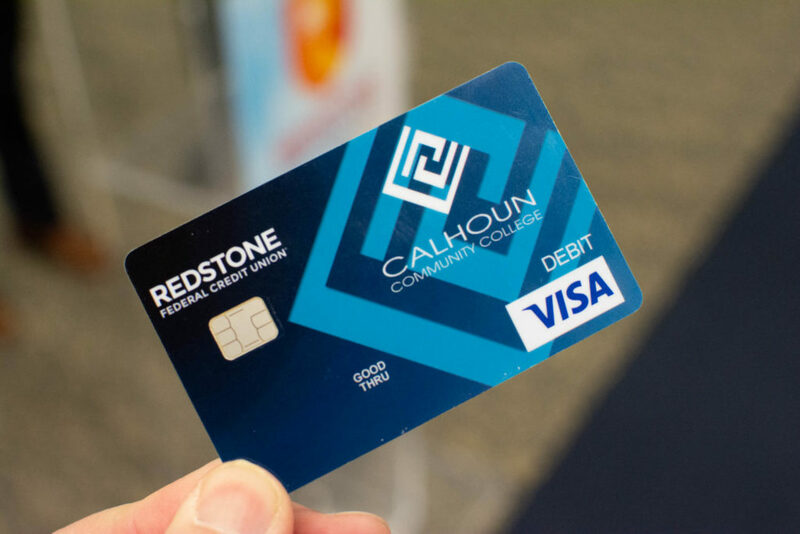 As a special promotion, stop by the Calhoun Decatur Campus Branch inside Brewer Library on April 24 between 10 AM and 1 PM to be entered into a drawing to receive a $50.00 Visa® Gift Card! Must be eligible for membership and open a share savings account in order to open a checking account. A $5 minimum balance is required to open share savings account and must be maintained in share savings account at all times. Must not have caused RFCU® a loss in order to be eligible to open a checking account. Minimum opening deposits and monthly checking maintenance fees apply to the checking accounts, and the monthly maintenance fees vary per checking account type. Please contact the Credit Union for more information about these amounts and fees. Age and other restrictions may also apply. Visa is a registered trademark of Visa International Services Association. No purchase necessary for drawing entry. Open to legal U.S. residents 18 years of age or older who fill out an electronic survey at the Onsite Membership Drive. See representative at onsite membership drive for official rules. Void where prohibited.